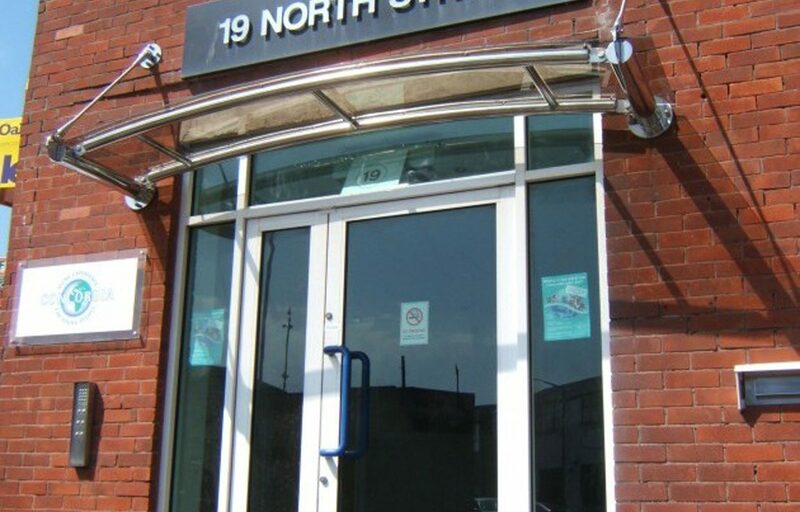 Wall mounted stainless steel canopy for commercial enterprise, East Sussex. 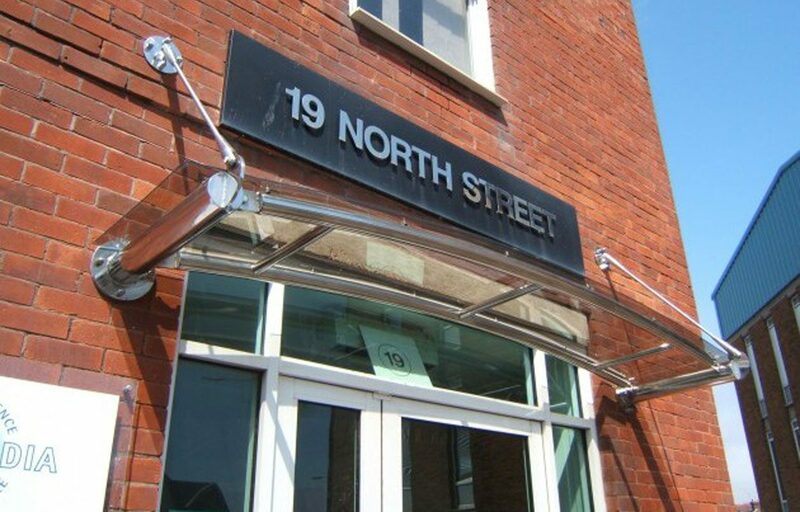 This stainless steel wall mounted canopy adds an architectural feature to the front of this office building. Simple and quick to install, the canopy provides cover for the door below and lifts the appearance of the facade. A pre-designed structure with a very quick turnaround time, this canopy can be manufactured and installed in no time at all. Contact us to find out more information or to place an order.